Lomeli Roofing is well-known as one of Los Angeles’ best roofing companies, serving the greater L.A. area for over 20 years. We specialize in residential roofing as well as commercial roofing, with roof inspection, complete roof replacement, and roof repair. Among the many professional credentials and affiliations, Lomeli Roofing is proud to be a GAF Certified roofing contractor, meeting GAF’s standards of quality work, which allows us to offer the best roof warranty available. We are also member of the National Association of Home Builders (NAHB), and the National Roofing Contractors Association (NRCA), so you know you can count on our commitment to professional service for residential roof repairs and replacement roofs, new construction roofing, and commercial and industrial roofing. We communicate with our customers during every phase of the project to ensure that we meet and exceed their expectations, which is why most of our business comes through referrals from our satisfied customers. Our priority is our customers, and our commitment to your roofing project is unsurpassed in the industry. Safety is a primary concern for home owners and businesses, which is why we employ professional, trustworthy work crews with little turnover, so they have the skills and experience to do the job the right way. We use the highest quality roofing materials, offer the best warranty available, and carry a one-million dollar liability insurance policy for your safety and peace of mind. has provided residential and commercial roofing services to Los Angeles and southern California for over 20 years. We deliver top quality results for all of our clients’ needs for roof repair, maintenance, and installation with comprehensive and energy-efficient solutions for all of our work, from attic installation to emergency roof repair. 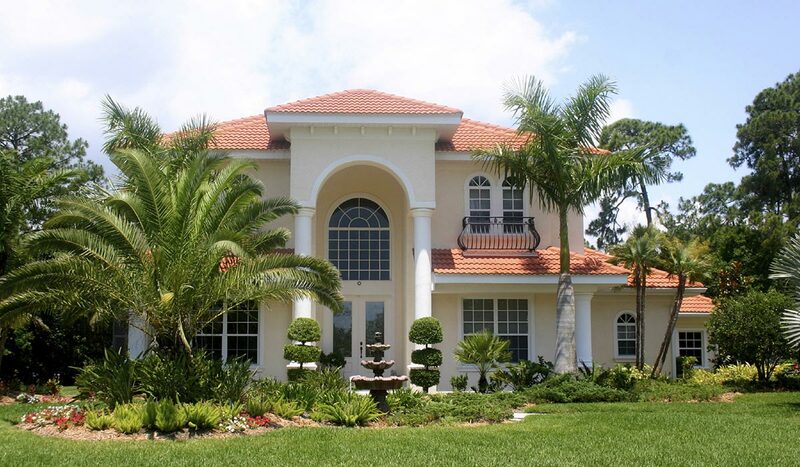 We have experience with the full range of roofing materials, including tile, metal, and shingle. Call Lomeli Roofing at (310) 277-ROOF to receive a free estimate, to schedule a roof inspection, and to hear about the services and the affordable prices we offer. …that’s the time to phone (310) 277-ROOF and get a free quote and a guarantee from Lomeli Roofing, located conveniently in Los Angeles and serving the entire area, including nearby cities, towns and neighborhoods. Roofing Service areas in Los Angeles County include Bel-Air, Burbank, Cerritos, Beverly Hills, Beverly Grove, Beverlywood, Brentwood, Carthay, Century City, Cheviot Hills, Culver City, Downy, Eagle Rock, Echo Park, El Monte, El Segundo, Elysian Park, Encino, Glendale, Hancock Park, Hawthorne, Highland Park, Hollywood Hills, Inglewood, La Mirada, Lancaster, Downtown L.A., Korea Town, Long Beach, Los Feliz, Lynwood, Manhattan Beach, Monrovia, Mount Washington, Pacific Palisades, Palmdale, Palms, Pasadena, Pico-Robertson, Pomona, Rancho Park, Redondo Beach, Rosemead, Santa Clarita, Santa Monica, Sawtelle, Sherman Oaks, Silver Lake, Studio City, Thousand Oaks, Torrance, West Covina, West Los Angeles, Westlake Village, West Hollywood, Westwood, Woodland Hills, Marina Del Rey, Norwalk, Playa Del Rey, Playa Vista, Porter Ranch, Van Nuys, Venice, Windsor Square, and all other areas. From drawing up plans to roofing your home or business, to cleaning up and completion of the project, our roofing craftsmen and staff are responsible for every project we take on in the greater Los Angeles area. We enjoy a well-earned reputation for prompt, dependable roofing service, for quality work using the best materials, for affordable prices, and the highest level of integrity. Our track record of completing quality jobs is well-documented with five-star ratings by our customers. We meet all the local requirements for licensing and insurance, and submit all warranty registrations on your behalf too make it easier for our homeowners and corporate clients. So whether you are remodeling, adding on to your current home, constructing a new house, or roofing your commercial property, we have all the skills, experience and quality roofing products to meet your needs. Asphalt roof shingles are the most popular choice and the most economical for residential roofing, which come in a wide variety of colors, styles, and ratings. They are amazingly durable, with many of them carrying a 130 mph wind rating and up to a 50 year warranty, depending on the type. Asphalt tiles are made of fiberglass infused with asphalt with a granulated top side for UV protection, algae resistance and color. Other types of shingles may contain composites and steel. The most common residential shingle is the 3-tab variety with a 60 mph wind rating and a 25 year warranty. The shape of this shingle sheds water quickly and are especially suitable for lower-pitched roofs. Architectural shingles are also called composite, dimensional or laminated shingles, and have multiple layers and a heavier base mat, giving them a wind rating of 130 mph and up to a 50 year warranty. Lomeli Roofing is licensed to apply all types of roof shingles from all the major manufacturers. Roof tiles are made from concrete or clay and come in a huge variety of colors and finishes, from a single color up to five complimentary shades. Shapes range from flat to barrel-shaped, which lend drama and variety to the finished roof. Tiles can mimic wood shake, slate and stone, but most people prefer the traditional clay tiles because of their beauty and economy – tile roofs in Europe have a life span of 100 years or even much longer. They are also easy to repair and require very limited maintenance, usually just taking care of the gutters, flashings and venting. Another modern attraction to tile and concrete is that they are made from naturally occurring substances and are therefore green, sustainable and friendly to the environment. They can endure all kinds of weather, including earthquakes, fires, high wind, rain and hail. Using Polyfoam to adhere the tiles to the roof deck also adds a layer of insulation for the home. Tile roofing is an excellent solution to your roofing needs, especially over the long-term, with fewer costs and worry-free. Metal Roofing Systems are a quickly-growing segment for both commercial roofing and residential roofing. Lomeli Roofing constructs metal roofs as durable and safe solution for southern California. This type of roof can stand up to all types of conditions and is non-combustible, long-lasting, energy-efficient. Non-combustible roofs can significantly decrease a homeowner’s insurance payments, which, over time, replaces the initial higher investment, and then lowers costs to save you money. 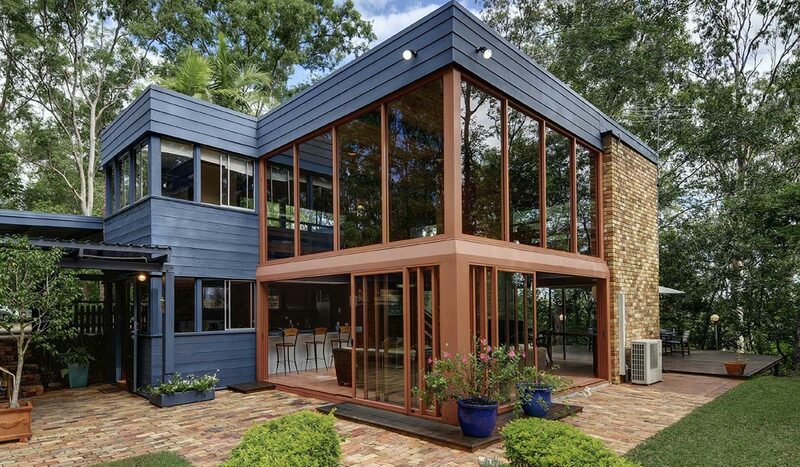 Metal roofs can replicate the look of almost any roofing materials, including tile, wood shake and slate, and modern technology can make them look quite elegant. Unlike asphalt tile, metal roofing doesn’t absorb heat which saves on air-conditioning and cooling costs. It’s very durable and will not crack, peel, rot or break. It is very lightweight, leak-proof or stain-proof, fire resistant and self-ventilating. And best of all, a metal roof lasts a lifetime and requires no maintenance. It’s a myth that metal roofing attracts lightening – in fact, it disperses the energy. It blocks noise by being installed with a solid sheathing that can significantly reduce or block the sound of rain and hail. The roof is coated with rust-proofing and long-lasting paint colors, so that rust isn’t a problem. Ask Lomeli Roofing about their choices and options for metal roofs that are enjoying a new popularity in Los Angeles. In the hot Los Angeles climate, even an energy-efficient roof may not fully protect your home, which is why it’s important to insulate your attic and ensure proper ventilation when it’s time to re-roof so that they work together as a cooling system that will save you in electric bills for air-conditioning. You’ll notice the comfort of reduced heat immediately. Insulating and ventilating your attic also helps prevent the moisture that can attract termites. When considering which attic insulation materials to use, choosing one with a higher R-value is best. R-values indicate resistance to heat flow, so the higher the R-value, the more effective the insulation will be. The factors that increase the R-rating are materials used, their thickness and density, as well as how and where it’s installed. Installing attic insulation may qualify you for various rebates offered for increasing your home’s energy efficiency. You are busy with plenty to do already to keep your business going, and the last thing you want to worry about is a leaking for damaged roof. Your commercial property is vital to your business, and needs to be inspected regularly for leaks or damage in the southern California climate. Our commercial roof repair service is available by schedule and also for 24/7 emergency needs, regardless of how small or how large the job. Lomeli Roofing’s commercial and industrial roofing is licensed and approved by all major roofing material manufacturers. 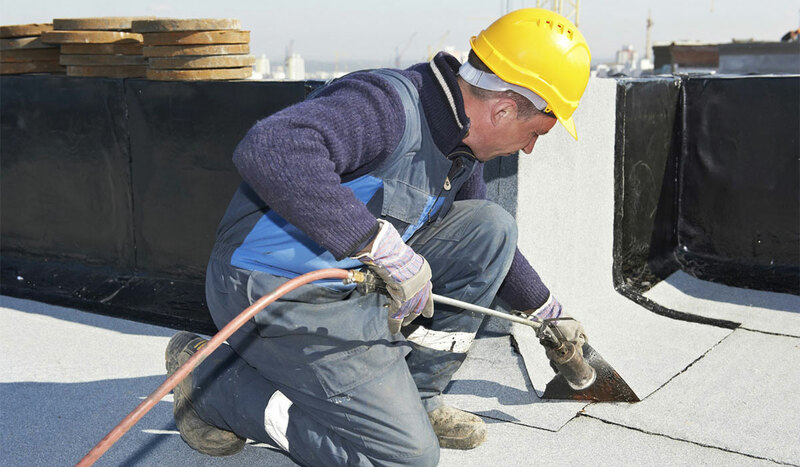 We offer manufacturers’ warranties for many types of roofing and roof repairs including coal tar pitch, built up roofing, metal roofing, TPO sing ply, industrial roof coating and modified Bitumen systems. Call Lomeli Roofing today at (310) 277-ROOF for a free estimate or to schedule a roof inspection, so you can enjoy peace of mind while you get back to your work and doing what you do best. Why Should I Hire Lomeli Roofing? We are roof repair and reroofing specialists with over 20 years’ experience in Los Angeles and Southern California. We use the best roofing materials available in the market today. We answer phones 24 hours a day, 7 days a week. We are NRCA certified and are experts in the most up-to-date roofing technologies. We are an approved roofing contractor for all major manufacturers in roofing materials. Lomeli Roofing Co. is a roofing Los Angeles repair specialist in residential and commercial re-roofs as well as new construction; let us put our 20 years of roofing knowledge to work for you. We are proud to be family owned and operated. We know that you have a choice of roofing contractors in the L.A. area and we appreciate your consideration. Our hope is that you’ll feel confident in our ability to meet all of your expectations and know that our customers are always our number one focus. If you have any questions or comments, please feel free to contact us. All roof repairs include 3 free service calls in the first year (12 Months). Ruben and his crew are wonderful. I would of wrote a review 15 years ago when he replaced my entire roof but I didn’t know about Yelp at the time. I got a few estimates but his was the most reasonable but didn’t compromise on quality. He was prompt, responsible and most of all knowledgeable. Now 15 years later my roof was leaking and he discovered that the solar company that installed my panels had cut through the roof and had placed inadequate patches. So I remembered how grateful I was to have such an excellent roofer and decided I should review him. YOU WILL NOT REGRET HIRING RUBEN IF YOU NEED A NEW ROOF. Best price, best work, incredibly professional. You cannot find better in the area; trust me I have already done the leg work. Ruben and his crew are fantastic. His prices are very fair, while his quality and workmanship are superb. He was easy to reach and worked with my schedule, and was very knowledgeable and helpful to boot. I had an AC unit that needed to be properly roofed, as well as some other repairs on vents and valves, and he handled them all very well, while also pointing out things that I could do in the future to maintain the integrity of my roof. Great work; highly recommend. All repairs include 3 free service calls in the first year. (12 Months). Using the best materials available is what gives Lomeli Roofing Co. the leading edge in the roofing Los Angeles, California community. We don’t skip any steps, using certified roofing grade moisture barriers, modified rubber roofing, hot tar roofing, soffits and roofing materials. We take the time to do it right, while staying on track to finish your roof as efficiently as possible.